Patients looking to achieve a more uniform smile can be deterred by the idea of traditional metal braces. At Advanced Family Dentistry, we straighten patients’ smiles using Invisalign® clear aligners. Invisalign gradually corrects dental alignment in a way that doesn’t inhibit patients’ lifestyles and allows them full control of treatment. Achieve a straighter smile today. Contact our Ankeny dental practice for more information! Invisalign is a great alternative to treat mild to moderate orthodontic issues such as crowding, gaps, and a misaligned bite. Our Ankeny Invisalign providers have the experience and knowledge needed to create a tailored and effective treatment. Invisalign clear aligners are an easy, convenient way to straighten smiles without the need for bulky, uncomfortable metal wires and brackets. Nearly inconspicuous in the smile, our Ankeny Invisalign providers recommend this innovative teeth straightening system to patients who have had previous orthodontic treatment and are experiencing a relapse. Our goal at Advanced Family Dentistry is to provide quality dental care that allows patients to smile once more with confidence. At Advanced Family Dentistry, you begin your Invisalign treatment with an initial consultation to determine your candidacy. We take the time to discuss the service in detail, so you know exactly what to expect during the course of your care. 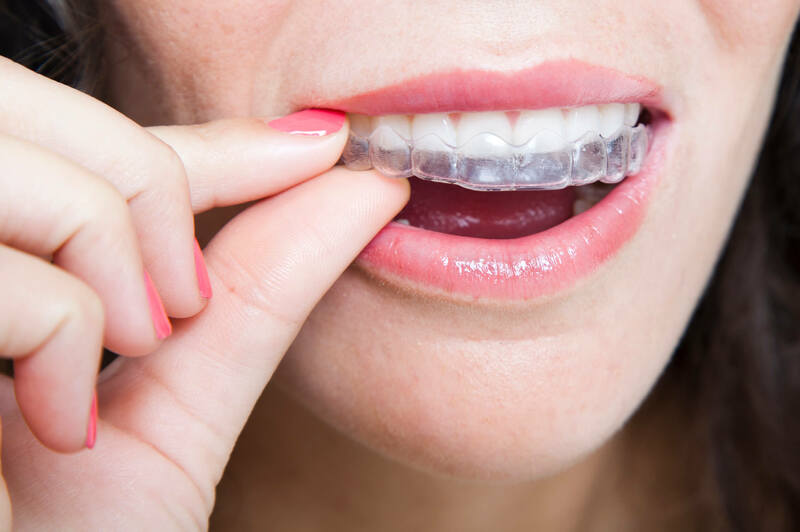 These clear aligners are perfect for patients with mild to moderate orthodontic issues, or who are looking just to straighten their smiles and have healthy bites. Impressions and photos of your teeth are then taken and submitted to Invisalign and are used to create your unique treatment. Before your treatment is confirmed, you can review and approve your personal Invisalign aligner plan, allowing you to view final results before treatment even begins. Once we have received your approval, your aligners will be manufactured. Periodic appointments will be scheduled to track your progress and to change out previous aligners as treatment progresses. A straighter, healthier smile is possible when you visit the experienced dentists at Advanced Family Dentistry. If you’re considering Invisalign in Ankeny, as a way to achieve the smile you’ve always wanted, without the need for traditional metal braces, we’re happy to discuss your individual concerns. Schedule your consultation today at Advanced Family Dentistry and see if you’re a candidate!